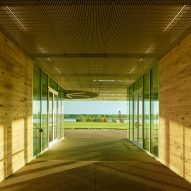 American firms Marlon Blackwell Architects and James Corner Field Operations have renovated a vast park in Tennessee that once served as a farm where prisoners worked. 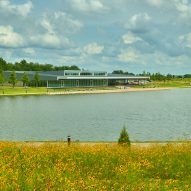 Located on the eastern edge of Memphis, Shelby Farms Park encompasses 4,500 acres (1,821 hectares), making it one of the largest urban parks in the US. Once a penal farm, the site became a public park in the 1970s. 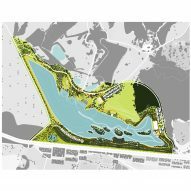 An international competition was held in 2007 to create a new masterplan for the sprawling green space. 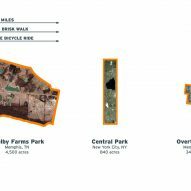 The winning scheme by New York landscape architects James Corner Field Operations and Arkansas-based architecture studio Marlon Blackwell Architects set out to boost the park's identity, to revitalise ecological habitats, and to improve circulation and connectivity. 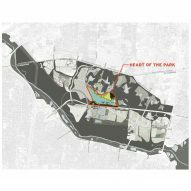 The multi-phase plan aims to ensure the park's long-term viability and to strengthen its role as a contributor to the area's social, economic and environmental health. 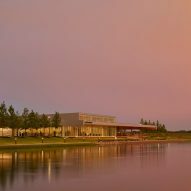 "Shelby Farms Park is a 21st-century urban park that improves residents' quality of life through access to recreation, culture and community – on both the city and regional scale," the team said. 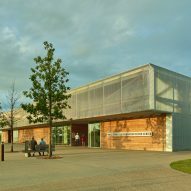 For the landscape design, James Corner Field Operations conceived the overarching concept of "One Park/One Million Trees/Twelve Landscapes". 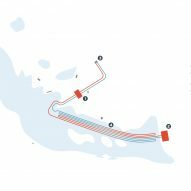 The team has envisioned new entrances and new connections to surrounding neighbourhoods. Within the park, the plan called for new plantings and earthworks, along with improved circulation. 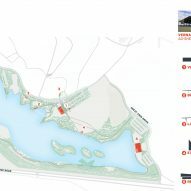 Moreover, the existing Hyde Lake was expanded from 50 to 80 acres (20 to 32 hectares). 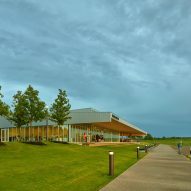 "As a whole, the design aims to make the place feel even more natural and bucolic, a shimmering lake the centrepiece in a large nested bowl, with softly undulating topography supporting groves of trees set amidst meadows and lawns," the team said. 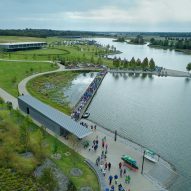 The project has also entailed the creation of numerous buildings – collectively called the Heart of the Park – which are organised around the lake. 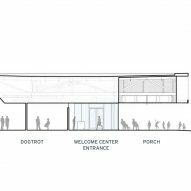 Their designs take cues from local typologies and traditions. 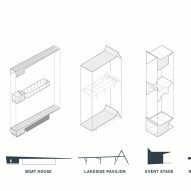 "Drawing upon the local vernacular – porches, dogtrots, agricultural sheds – the buildings establish an ensemble of figures with a shared material palette," the team said. 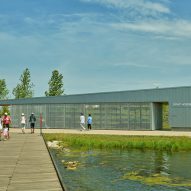 A visitor centre serves as the point of arrival for visitors, and acts as "the nerve centre" for the entire park. 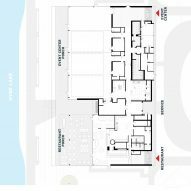 Encompassing 7,965 square feet (740 square metres), the centre contains a welcome area, gift shop and administrative functions. 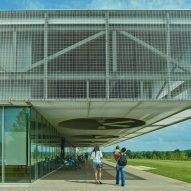 Clad in aluminium bar grating, the rectilinear building has a large overhang that forms a covered porch overlooking the lake, where massive fans help keep visitors cool. 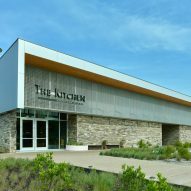 The front entrance is partially wrapped in locally sourced, second-growth cypress, which adds warmth to the building's appearance. 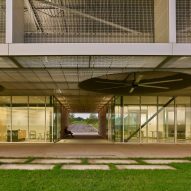 "Elegant and rhythmic from a distance, a generosity is revealed in person, with a material palette born of the intersection between the natural and the industrial," the team said. 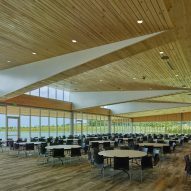 The largest structure in the park – containing a restaurant and event centre – totals 20,674 square feet (1,921 square metres). 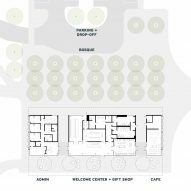 The team carved away a portion of the ground level to form a massive shaded area for outdoor seating. 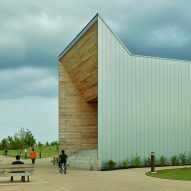 The material palette includes a mix of metal, glass, wood and stone. 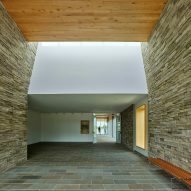 "Slung low and spreading as it becomes one with the landscape, the stone base provides a permanence that complements the ethereal, protective wing of the roof," the team said. Other new structures in the park include a bandshell, a boathouse, a restroom shelter and several lakeside pavilions. The park project is not fully complete, with future phases calling for additional trees and other improvements. 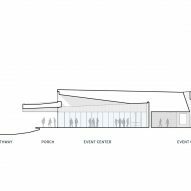 "The scale and ambition of the project will likely take a generation to be fully appreciated," said the team. 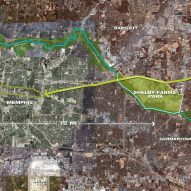 "However, now even in its infancy, the renewed landscape and augmented offerings enrich the City of Memphis, providing an invaluable resource to a diverse population." 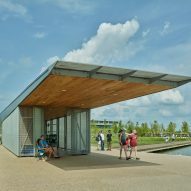 The American Society of Landscape Architects announced its top new landscape architecture projects in the US earlier this month, including a remote art centre in Montana and the bustling Chicago Riverwalk. 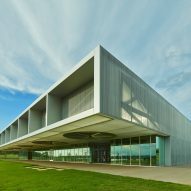 In a recent Opinion article for Dezeen, Charles A Birnbaum said the profession is slowly gaining the recognition it deserves, but urged members to continue flying their own flag. 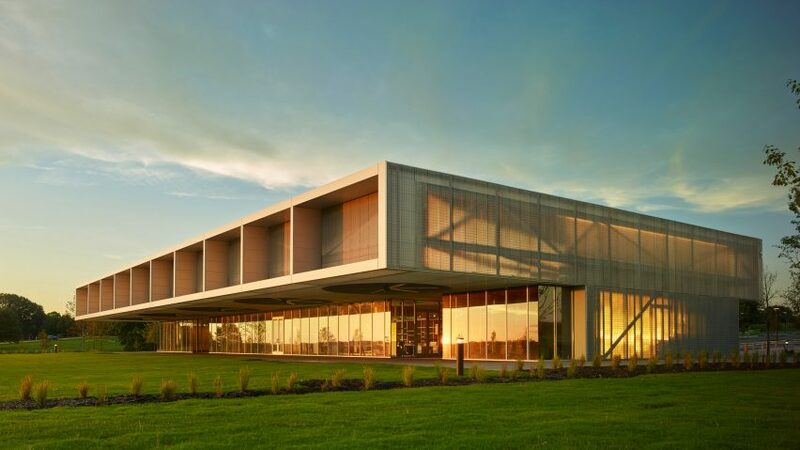 Civil engineering: Pickering Firm Inc.